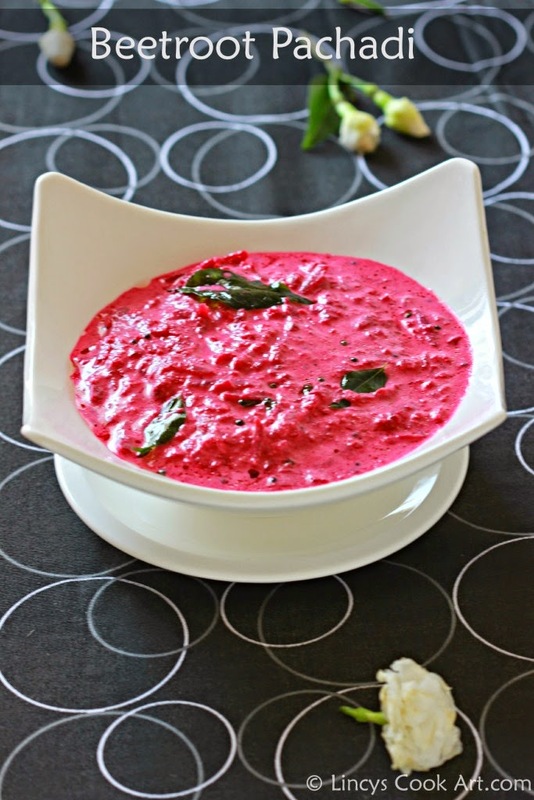 Beet root Pachadi is a colourful pachadi. As the dark red colour from the beetroots cooked with coconut and yogurt yields a bright pink colour. The taste as well as colour liked even by kids. It is an inevitable dish in Onam Sadya. 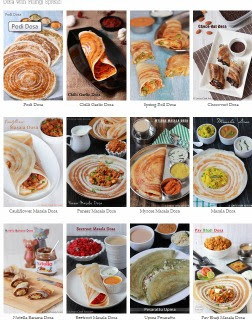 I used to prepare this healthy colourful pachadi weekly once. This is one of the easy to make pachadis served in Onam Sadya. This dish looks bright when served among all dishes and make the whole platter a visual treat too. Healthy and tasty dish with the addition of yogurt it cools our body. Perfect dish to make at the summer season too. Grind the coconut with green chillies, mustard seeds and ginger as a fine paste. Heat oil in a pan and add mustard seeds. Once it splutters add the curry leaves and set aside. In a pan add the grated beet root, salt and quarter cup of water. Close with a lid and cook for three to five minutes till the beet root cooks till soft. Add this paste into the cooked beetroots and mix well. Allow this mixture to heat for a minute and switch off the gas. Do not cook too long as mustard seeds turns the pachadi slightly bitter. Add the beaten curd and mix well. Add the tempering on top of the beetroot pachadi and mix well. Check for salt and add if needed. Note: Mustard seeds can be replaced with Jeera if you do not like the taste of mustard seeds ground along with coconut. Seriously love this pachadi very much, just inviting. Love the vibrant color........ Looks yummm!! Love the colorful beetroot pachadi..